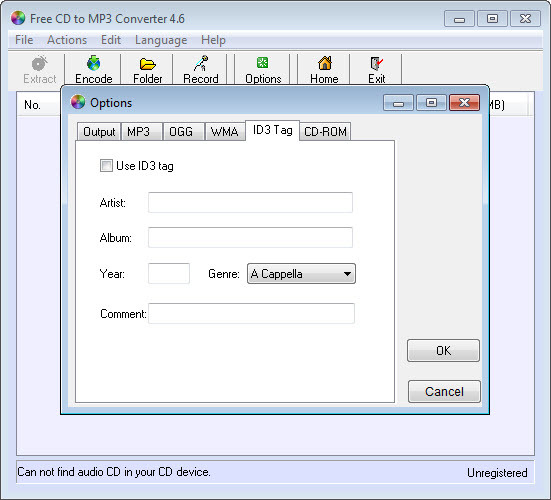 Free CD to MP3 Converter can extract audio tracks from CDs and convert them to MP3, WAV, OGG and WMA format. 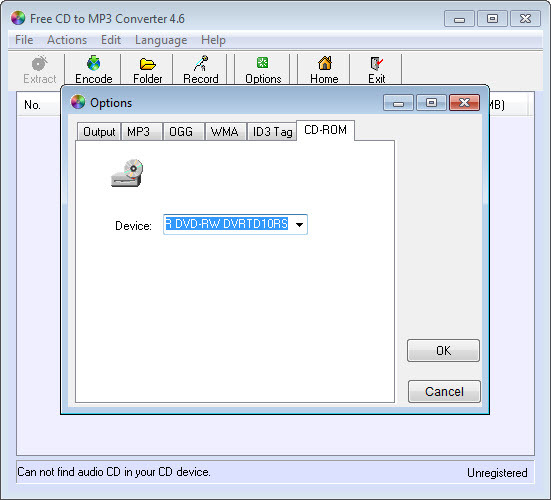 It is also able to retrieve metadata from CDDB database. 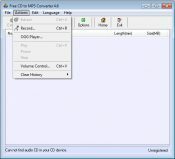 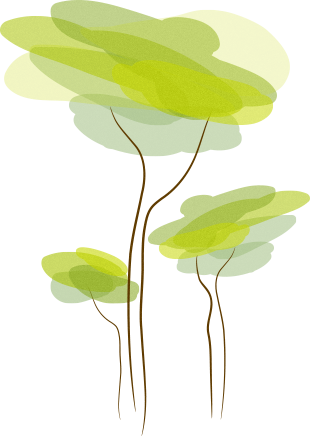 Further LAME features and the possibility to normalize the resulted files make this converter a decent solution for your everyday audio grabbing. 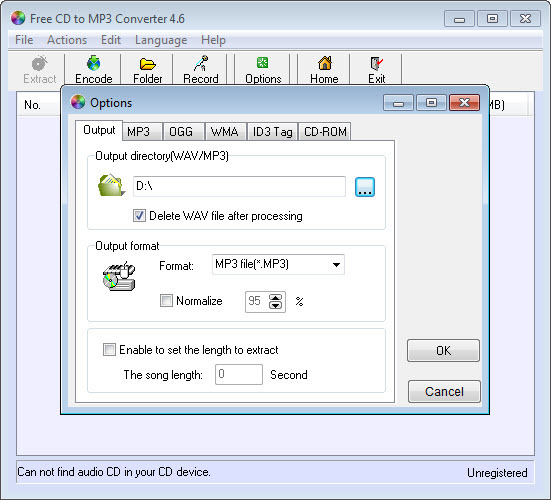 More advanced functions allow you to record your voice as MP3 and convert WAV tracks to the other three supported formats. 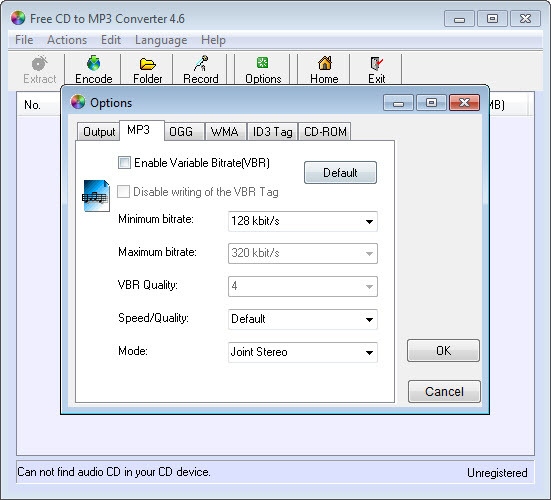 ID3 tag edit and AKRip or LAME encoding come as a standard with this freeware converter. 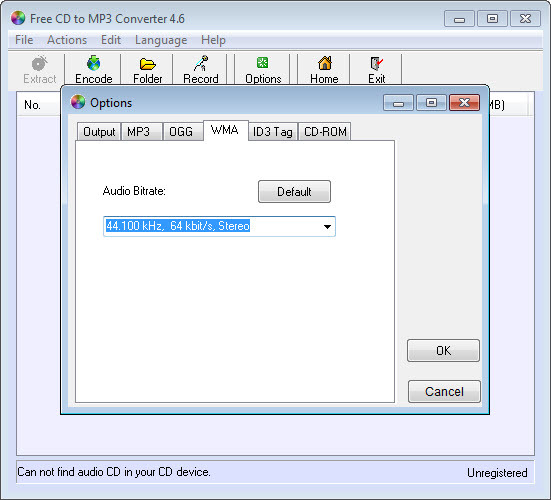 OGG and WMA converting are also possible. 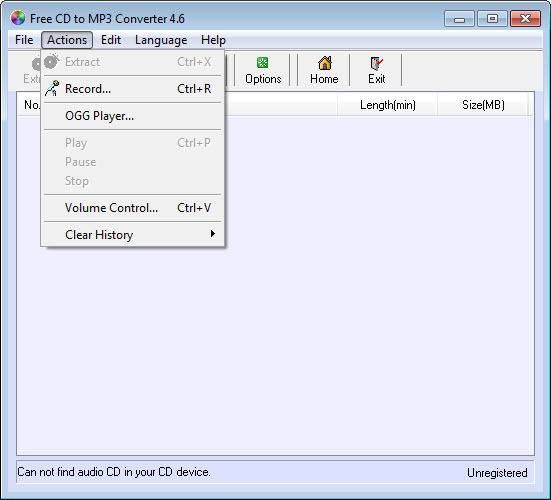 As for the interface, it supports up to 15 languages while integrating only basic buttons that you need to complete the task efficiently.